In July 2018, FDA approved TIBSOVO (ivosidenib) as an acute myeloid leukemia drug. It contains acylated 3,3-difluorocyclobutan-1-amine moiety in its backbone. That is why we have prepared a set of fluorine containing cyclobutanamines and their nearest derivatives to power up your research. 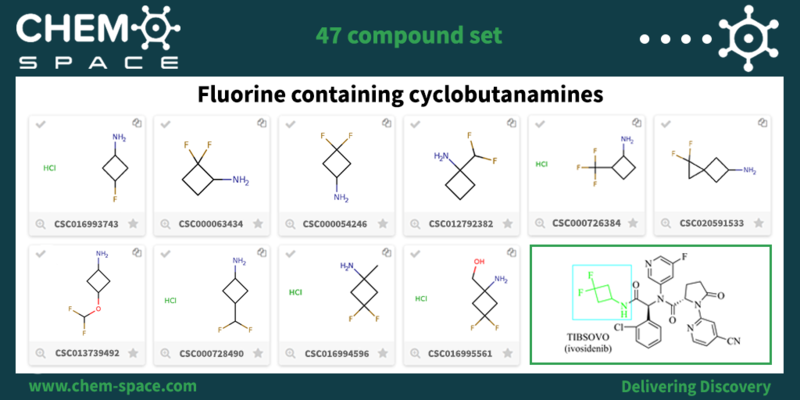 Please visit http://www.chem-space.com to search in 100 million building blocks, fragments, and screening compounds.